Hamilton County Commissioner Tim Boyd has proposed commissioners once again receive $100,000 apiece in discretionary funds for their districts. 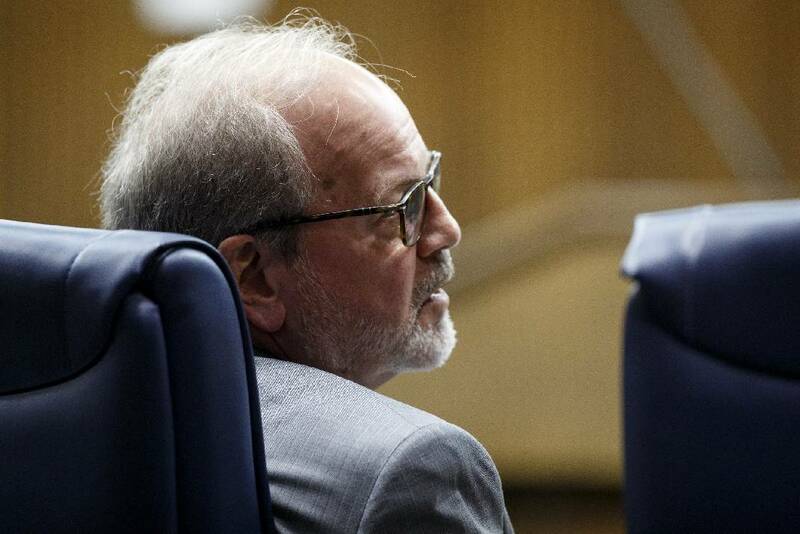 Just when you thought the days of discretionary funds for Hamilton County commissioners had rolled into history, at least four commissioners want to resurrect them. And they've come armed only with the same old argument to do it — we know better than anyone what our constituents need. Four commissioners (Tim Boyd, who made the motion, Chester Bankston, Warren Mackey and new Commissioner David Sharpe) on Wednesday voted to bring the funds back — by pulling out $100,000 for each commissioner from bond proceeds when the new fiscal year begins on July 1, 2019 — but four commissioners (Randy Fairbanks, Greg Martin, Sabrena Smedley and new Commissioner Chip Baker) voted against the resolution. Commissioner Katherlyn Geter was ill and did not attend the meeting, so she would be a potential tie-breaking vote when in all likelihood the measure is brought up again. To the argument favoring the funds, we would offer the same response we have in the past. It's not about the needs. With perhaps a few exceptions, we would not quibble with what the money has been spent on in the past — schools tracks, band uniforms, computers, volunteer fire departments, school baseball fields, public libraries, playground equipment, inner-city youth programs, scholarship funds, school security, signs, school stadium restrooms and the list goes on. For the most part, the wider public has benefited from these expenditures. When funds have gone to vague "community development programs," "neighborhood outreach" and for specific church and civic club needs, we're not sure the wider public always benefited and worry where some of the money might have landed. It's the county commissioner-as-beneficent-grantor that bothers us. Because for every donation that is made, more than a dozen others go unfulfilled, perhaps even unexpressed. Some even may be more worthy of funding than the one that does receive funds. Just as every commissioner is different, every commissioner spends his or her dollars differently. While this commissioner spends funds on sculptures and ballet, this one loads up on recreation associations. Where this one puts money into scholarship funds, this one puts dollars into volunteer fire departments. We think the availability of discretionary funds — when they could be counted on annually — also made the individuals and organizations who sought them less willing to consider whether the request was more of a need than a want, and less willing to figure out how they could get the funds without relying on their commissioner. To their credit, during the years when funds were provided annually, some commissioners came up with sound policies that dealt with their distribution. At least one, for instance, formed a committee to consider how such funds might be best spent. Another expended funds only with skin in the game from the recipient. The argument also has been made that a commissioner is buying his re-election with these dispensed funds. We understand that sentiment, but it can also work against a commissioner. For every "We'll remember you next election" they hear, they may not hear several mutters of "you'll never get my vote since you didn't fund my project." No, we believe any expenditure that is felt to be a public need is worth putting in the budget. That way, at budget time, if commissioners have to justify the items they want to be included, perhaps Mayor Jim Coppinger — whose office delivers the budget — will feel equally compelled to answer for any nonprofit he has included in his plan. We're also sympathetic to the argument that pulling $900,000 from the county's bond money might: a) possibly cause the county to have to reduce another project (according to county Finance Administrator Al Kiser), and/or b) might damage the county's AAA bond rating, a rating Hamilton is one of just a few counties in the state to have and one that allows them to borrow money more cheaply than other counties. With Geter present, the issue is bound to come up again sooner rather than later. It could be that some commissioners believe, after voting Wednesday to allow leftover expense money from one year to roll into discretionary money the next, this is the ideal time to seek the return of the big kahuna in discretionary funds. After all, their election to four-year terms is only three months in the rearview mirror. However, while we affirm that discretionary spending has improved the lives for students, upgraded facilities for recreation leagues and better outfitted first responders, and we acknowledge commissioners have the sharpest eyes and ears on their district, we feel a discretionary fund pool should not be put back into each commissioner's hand. True needs should be put in the annual budget or requested separately by the commission as they come up.